She has previously spoken candidly about her struggle with anxiety and depression. 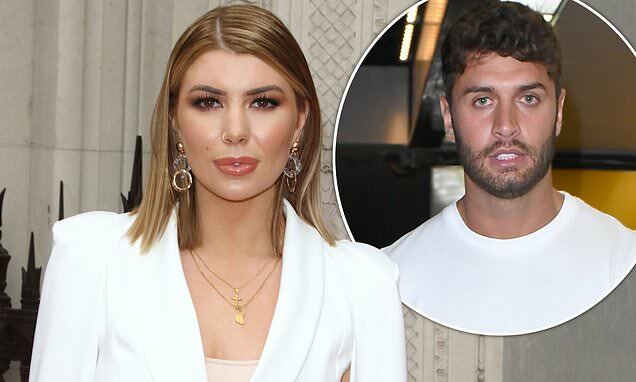 And, Love Island star Olivia Buckland spoke exclusively to MailOnline in the wake of Mike Thalassitis tragic death, revealing that she was offered psychological tests and counselling after appearing on the ITV2 show. The blonde beauty, 25, detailed her Love Island mental health after-care experience as she launched Superdrug's breast checking consultation service across the UK in association with CoppaFeel! Olivia revealed that after appearing on the show and finding overnight fame with her now-husband Alex Bowen, she was offered a range of mental health support aids and is still regularly checked-in on by Love Island producers. She said: 'I was in constant contact with the producers for a very long time. I got offered psychological tests when I got out. I got offered counselling when I got out. I got a list of agencies. 'Honestly, they really did look after me, and Alex. They always checked in with us, and I'm still good friends with them now. They checked in with me about the wedding.